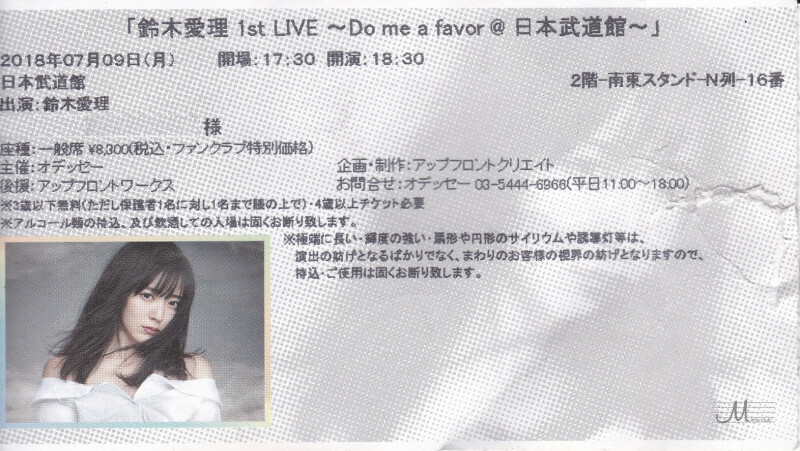 Suzuki Airi 1st live ～Do me a favor @ Nippon Budokan～ was the final part of Airi's first tour as a solo artist, promoting her first solo album. 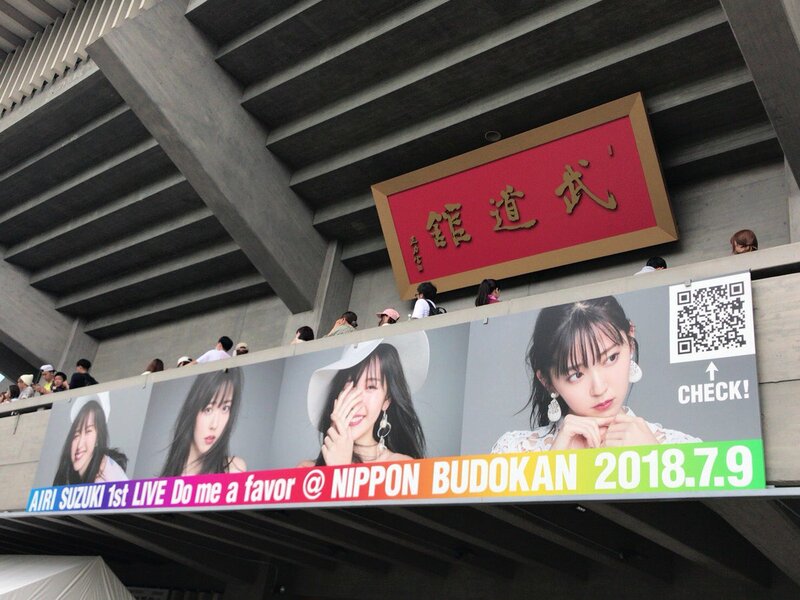 Held on July 9, 2018, the concert was sold out immediately after the general tickets sale started. 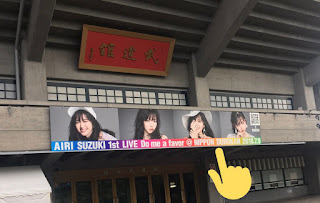 On the live day's morning, many fans noticed the typo on the banner. 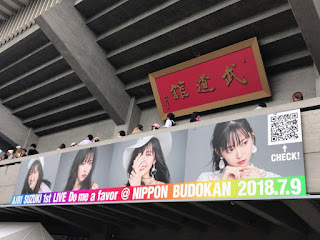 Indeed, it was written "Nippon Dudokan", however it was fixed by staff members shortly after. 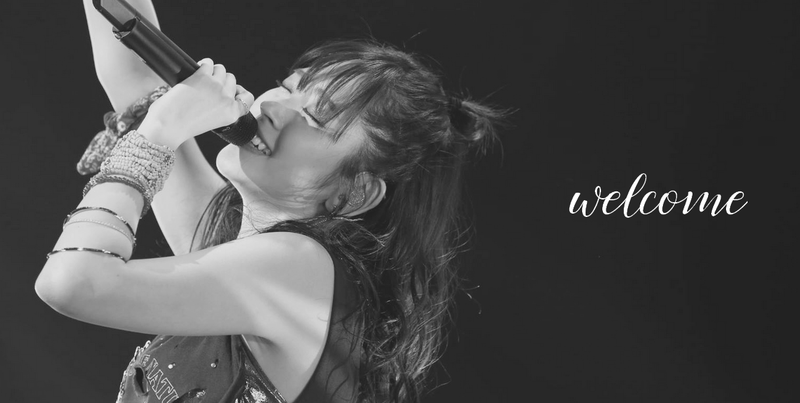 Airi joked about it on her official Twitter and also during a MC of the concert, saying it was a reference to her bad articulation. 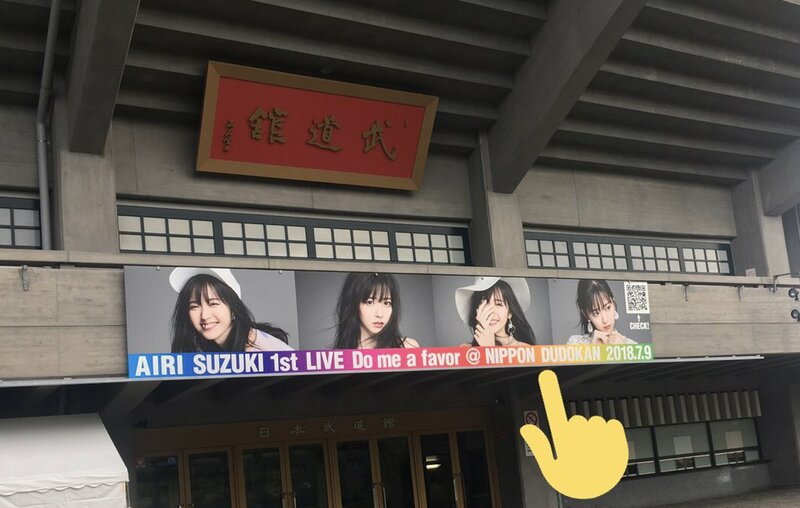 This banner contained a QR code which led on a secret video message shared on Airi's official YouTube channel, which has now been put on private. Medias coverage were very positive, and impressed as Airi changed outfits 13 times during the live. As a surprise announcement, her Autumn live tour was announced at the end of the live.